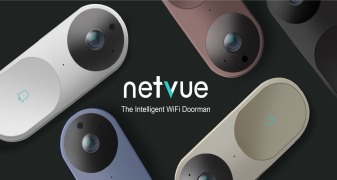 About Netvue Technologies Co., Ltd. - Products, News and Contacts. An innovative technology company focusing on the R&D and promotion of cloud-based Smarthome productsWith our first-class hardware and software development team, we provide customers worldwide with complete solution of mobile internet smart devices. The company was founded in June 2010, a collaboration of the management team and technology team of a leading Chinese camera manufacturer, an eminent scientist in the field of multimedia codec and communication technology( IEEE Fellow, Tsinghua University professor, Director of the Tsinghua University Research Center of the Internet of Things), and other investors. Current ODM/R&D partners includeThe second-largest distributor of consumer security surveillance products in the world.South America's largest distributor of security surveillance products.World's largest distributor of baby products.Renowned smarthome products manufacturer of France.The biggest alarm service company of France. The company's proven cloud platformProvides customer all over the world with real-time multimedia data and remote control service. Currently, we are dedicated to opening up existing platform, collaborating with third party and combining cloud computer and big data analytic to create more value for our customers.